Name of Residing peacefully, Name of a Sahabiyyah(RA), Name of a saint who is known as Rabiah Basriyyah. A bounding in green foliage. Name of a Sahabi who took part in the battle of Badr. Of elegant, statue, soft, lovely, beautiful, graceful, delicate. Pious, follower of the right path. (Raadiyah) Agreed, willing, satisfied, pleased. Rabaa is an Arabic name for girls that means grace, kindness, favor. White cloud in the sky, Usually two-stringed instrument. Spring time, garden, One who is well-versed. A bounding in green foliage. Queen. Rabeeba is an Arabic name for girls that means queen, one who is under oath, one who has given a promise.It also mean step-daughter. Many Arabic names have multiple different meanings. You can choose a name for its good meaning and ignore the meanings you do not like. Rabeehah is an Arabic name for girls that means winner. Spring, Spring time, The fourth. Rabia Basri, name of a saint who lived in Basrah, Fem. of Rabi. 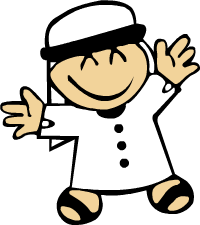 Rabihaat is an Arabic name for girls that means winners, acquirers, those who make a profit. It is the plural of Rabihah.